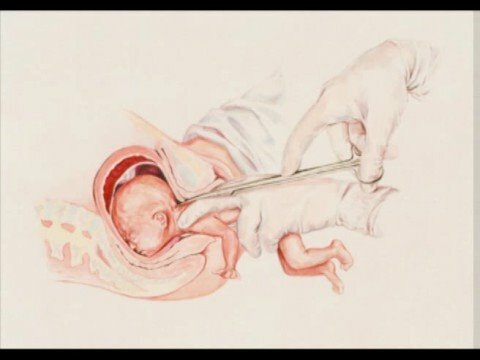 In 1973 apex court’s verdict on Roe v. Wade case was to legalize abortion until the time fetus could survive outside the womb. Medical science considers the time as about 24 weeks of pregnancy. The Supreme Court further added then that abortion should be legalized after viability in such cases when pregnancy would threaten life or health of the pregnant woman. Late-term refers to pregnancies extending past a woman’s due date, which is about 41 or 42 weeks. Group which opposes abortion has come up with a phrase called late-term abortion and it refers to aborting after about 21 weeks of pregnancy. However, in terms of medical science the definition is different. Late-term refers to pregnancies extending past a woman’s due date, which is about 41 or 42 weeks. It is not common. According to Centers for Disease Control and Prevention data in 2015 there were just 1.3 percent of abortions performed in or after 21st week of pregnancy. More to this, there were less than 1 percent of abortions performed after 24 weeks. The answer is mixed. Many believe the fetus does not develop neurological wiring until 24 weeks and hence fails to feel the pain. In 2005 a study revealed the cortex becomes functional after 26 week and pain sensation requires neural connections into it. Another research in 2010 revealed the fetus cannot feel the pain prior to 24 weeks. Late-term abortion laws vary from state to state and more than forty states ban abortions after a certain point. On January 22 Democratic Gov. Andrew Cuomo signed New York’s Reproductive Health Act. The day was anniversary of landmark Roe v. Wade Supreme Court decision in 1973 when woman’s right to an abortion was guaranteed. In New York the RHA allows abortions within 24 weeks of pregnancy, or abortion is required to protect life or health of the woman, or if there is an absence of fetal viability. There’s complicated response. In a poll conducted by Gallup in 2018 about 60 percent of the people talked in support of first-trimester abortion while just 13 percent supported third-trimester abortion. However, many Americans support late-term abortion in cases when saving life or health of the woman is in question. Some of the anti-choice activists too were in support of it in dire circumstances. Foster and Katrina Kimport published a paper in 2013 detailing on women who got abortions for logistical delays like raising funds for the procedure and travel costs, and difficulty finding a provider. The study described five profiles of women like raising children alone, in-conflict with partner, were depressed or using illicit substances, experiencing domestic violence, or were young and dealing with first pregnancy. In one of the cases the medical sociologist at UCSF (Kimport) revealed doctors told a pregnant woman in her 20 week scan that something was looking suspicious, but fetus was found showing significant abnormalities in the scan of 22 weeks. In another case she writes a woman faced challenges in finding a provider and getting approvals from doctors in states that require them. All such women had to travel to other states and get procedure done. Dr. Barbara Levy, vice president of health policy at the American College of Obstetricians and Gynecologists, says late-term abortion is inaccurate medically and goes without any clinical meaning and in pregnancy it means past 41 weeks gestation. The phrase is contradictory as abortions don’t occur in such period. However, in general it refers to abortion occurring at 21 or later weeks, in second or third trimester. Both woman and physician need to consider complete range of appropriate treatments like induction of labor, cesarean birth or abortion care. Levy adds delivery should be pursued and not abortion if life or health or a woman is at risk and fetus is viable. Both woman and physician need to consider complete range of appropriate treatments like induction of labor, cesarean birth or abortion care. It is important here to know that every pregnant woman’s situation and medical condition are different. One-size-fits-all-determination does not work. She adds misleading hypotheticals is nothing but disregard and contempt to those who had abortions in later stages of their pregnancies. Such women deserve understanding and empathy and not judgment. However, at the end it is important to understand all pregnancies carry risks, either more or less, and the patient needs to weigh risks and benefits, not politicians, journalists and Twitter followers.